I never read this types of books but I really, really like Dan and Phil so when I heard that they were writing a book I immediately know that I would make an exception for them, no matter what type of book it would be. Would I prefer a novel over what this book is? Definitely. Do I mind that this book isn't a novel? After that whole Zoella ghostwriter chaos/drama months ago, not at all. 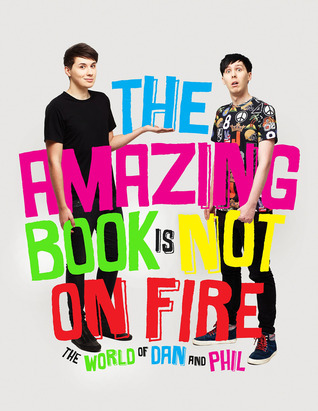 Dan and Phil are super funny and have so many different, interesting and fun stories to tell that I'm sure this book will be great. If you don't know these two yet, however that would be possible, go and check out their YouTube channels.